In 1993, My Neighbor Totoro became the first Hayao Miyazaki movie to be given a US theatrical release. Movie distributor Troma Pictures obtained the rights, recorded an English language soundtrack (using many of the regular players from Streamline Pictures), and promoted the movie as a major animated feature by “the Walt Disney of Japan,” Hayao Miyazaki. Here is the US movie poster. There are some interesting and unique features to this poster design. Notice the cartoon Totoros in the logo (they appear to be cross-eyed). 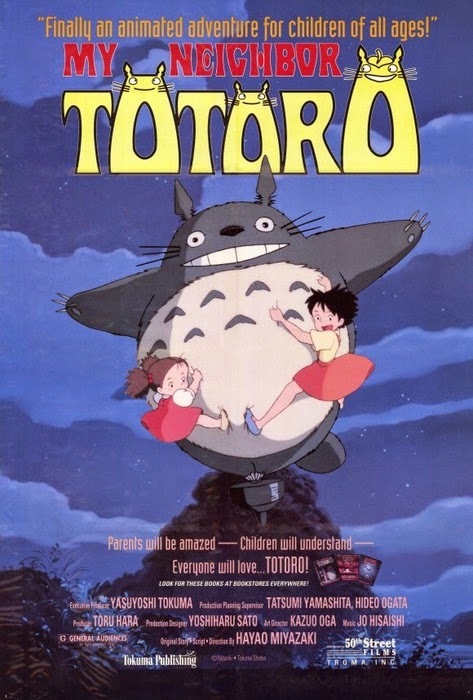 The tagline: “Parents will be amazed – Children will understand – Everyone will love…TOTORO!” Underneath the tagline, a small promotion for books based on Miyazaki’s movies Castle in the Sky, My Neighbor Totoro and Kiki’s Delivery Service. Finally, note how Studio Ghibli’s name does not appear on this poster; instead, Tokuma Publishing, the studio’s owners, are given billing. These are the early days of “selling” Hayao Miyazaki to Americans, and you can see how strongly Troma leaned on the “Walt Disney of Japan” angle. Of course, this was a necessary meme in order to sell to families who, by the early Nineties, are beginning to hear about this strange, new creature called “Japanimation.” And they were almost universally terrified. You can thank the ultra-violence of Akira and its peers for that. To this day, anime is treated by the American mainstream with trepidation and worry at best, outright panic at worst. 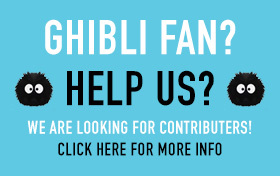 It remains a great challenge for the medium to overcome, and even the family-friendly movies of Studio Ghibli can barely crack that ceiling. In the tradition of ALLADIN (sic), BEAUTY AND THE BEAST and THE LITTLE MERMAID now comes MY NEIGHBOR TOTORO–an animated adventure for children of all ages! The worldwide theatrical smash hit MY NEIGHBOR TOTORO introduces American audiences to TOTORO, a character who is becoming as beloved as Mickey Mouse to children the world over. Now the new classic children’s storybook flies to life on the screen! Jump aboard! It’s a journey that will take you to animated heights you’ve always dreamed about! You’ll laugh with TOTORO! You’ll cry with TOTORO! Best of all, you’ll fly with TOTORO! MY NEIGHBOR TOTORO captures the award-winning animated artistry and creative imagination of Japan’s master animation director, Hayao Miyazaki. Revered in Japan as Walt Disney is revered in America, Mr. Miyazaki, whose films include KIKI’S DELIVERY SERVICE, LAPUTA: THE CASTLE IN THE SKY and MY NEIGHBOR TOTORO, has had enormous box-office success, attracting audiences of children, as well as adults. MY NEIGHBOR TOTORO is the heartwarming story of two young girls who are befriended by the furry creatures called TOTOROs. The lovable TOTOROs can’t talk like people nor can they be seen by adults, but they make perfect sense to the pure and innocent of heart–children. And when you need to call on a friend for help, you can always look to MY NEIGHBOR TOTORO. The Troma team is honored to release the superb entertainment of MY NEIGHBOR TOTORO to American family audiences. 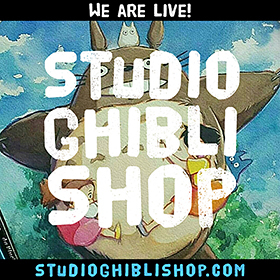 Parents will be amazed–Children will understand–Everyone will love MY NEIGHBOR TOTORO!